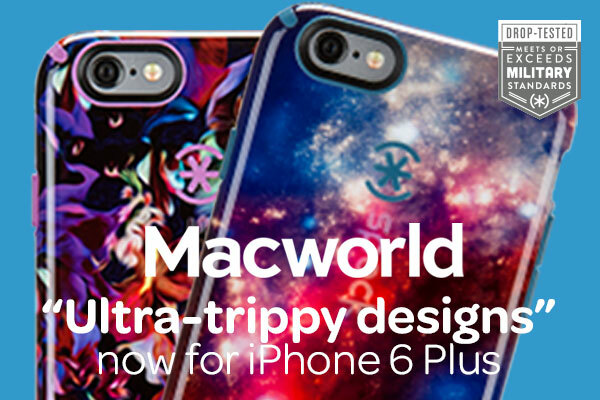 Our friends at Macworld took a look at our military-grade protective CandyShell Inked for iPhone 6 and iPhone 6 Plus, and in addition to calling out its stellar design, they gave a shoutout to the matching wallpapers we have available for download to match your CandyShell Inked design on the background of your phone. “The CandyShell Inked (iPhone 6 and 6 Plus; $40 to $45) features trippy high-resolution motifs coated with a scratch-resistant material that provides a unique look. Check out CandyShell Inked for iPhone 6 and iPhone 6 Plus and let us know what you think of our out-of-this-world designs.